This week in "Thanks, Internet" ---Beck gets two surprising mash-ups, a calypso Whiplash parody, Murakami gives some not-so-great advice,Billy Eichner wins the guest jackpot,and Norm Macdonald's tweets take us behind the scenes at SNL's 40th anniversary show. Kanyeand a whole lot of other peoplethought Beck robbed Beyonc of a very important Grammy last week. No matter which side you're taking,you still get to enjoy a pair of fun, unlikely mash-ups. Beck meets Beyonc for "Single Loser (Put a Beck on It)" and, thanks to Arcade Fire's Win Butler (who sometimes goes by Windows 98), Kanye raps all over Beck in "Jesus Walks, Loser." Whiplashwas easily one of my favorite movies of 2014, but it didn't really have a sense of humor about itself. The film has finally received the parody treatment thanks to a comedy squad known as Above Average. What the calypso-themedSteel Whiplashlacks in intensity, it makes up for in good vibes. 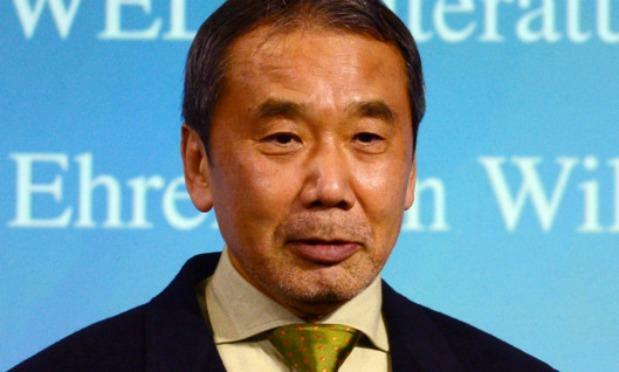 Murakami-san, hello. Being that I'm a graduate student, I need to write a lot: reports, presentation speeches, emails to professors, etc. I'm not that great in writing, but if I don't, I won't be able to graduate. I struggle with it every day. How will this get easier? If you have any composition 101 techniques, can you let me know? Writing is similar to trying to seduce a woman. A lot has to do with practice, but mostly it's innate. Anyway, good luck. This week, Billy on the Street hit a grocery store. Being inside such a sterile environment stifles Billy's comedy, but to make up for it, he isjoined by Big Bird, Michelle Obama, and his old friend, Elena. There's a lot of fun to be had, including Billy's calling card improvised games, like "Arianna Grande or a Carrot," and the grand finale, in which Billy has FLOTUS push him through the store in a shopping cart while he reads Gwyneth Paltrow's Oscar acceptance speechfrom 1999. Billy for president!